Whether you are an art connoisseur or just like checking out what local artists have created, Medellin has a thriving art scene not to be missed. Starting at street level, Medellin has a huge array of what is normally considered graffiti, but in this city, this artwork is well-respected. 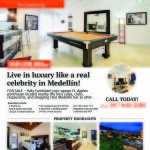 Having been built into an abundance of hillsides, Medellin is a city of retaining walls and buildings with vast expanses of exposed outer walls. Many of these have become canvases that portray stories about the city’s past, most notably when the area was ruled by drugs and the gangs that sold them. Larger than life portraits, embellished in bright colors, some highly artistic, others more novice in appearance, they are all colorful monuments to the city, woven within buildings, streets, and alleys. Many are visible from several different places, providing the observer with a changing sense of perspective and interpretation when seen from a different vantage point. 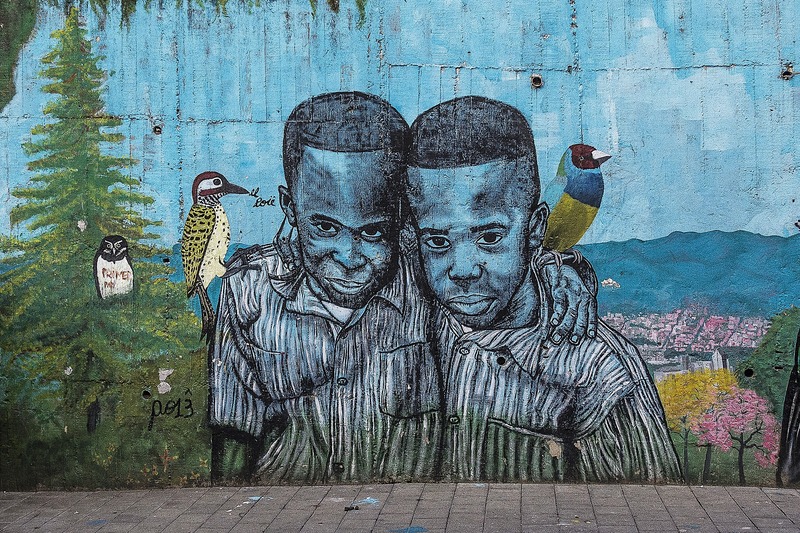 To see a good sampling, it is suggested that visitors to the area check out “Street art in Medellin, Colombia – in pictures,” a pictorial example of street art in Comuna 13, once one of Medellin’s most notorious neighborhoods. Still on the upswing from its heyday as a crime haven, Medellin has been working hard to revitalize its economy and reputation. Working towards this goal, there has been a surge in tourism and, with that, a steady growth in art galleries and museums. 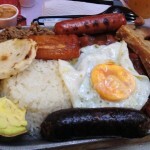 Medellin has a good selection of galleries providing smaller installations of local artists. However, at the other end of the spectrum are two traditional museums hosting galleries of artists who are becoming more famous each year. Medellín Museo de Arte Moderno (MMAM), a repurposed steel factory said to be “rapidly gentrifying Ciudad del Rio neighborhood” is the first not to be missed. In a 2016 Travel + Leisure interview, chief curator Amiliano Valdes, discusses the growth of the MMAM, relating that the museum’s collection of mostly Columbian artists would be on permanent display with the new building extension that had recently been completed. Featured at MMAM is the extensive collection of Debora Orango, a late feminist painter that used themes of social commentary along with confrontational depictions in her work. Besides permanent installations, the museum also has a state-of-the-art film and music theatre, allowing the hosting of more varied types of art. Second is Medellin’s Museo de Antioquia with the notable collection of abstract artist Fernando Botero, best recognized for his signature stylizing of rounded, “fat” people – also called boterismo. On display at the museum are 168 pieces of work by Botero in mixed media, both in the galleries and on the plaza in front, aptly named Plaza de Botero. Regardless of personal taste, anyone who loves, appreciates, or is just curious about different styles of art will find plenty to see and discuss in the artwork on display in and around the city of Medellin. 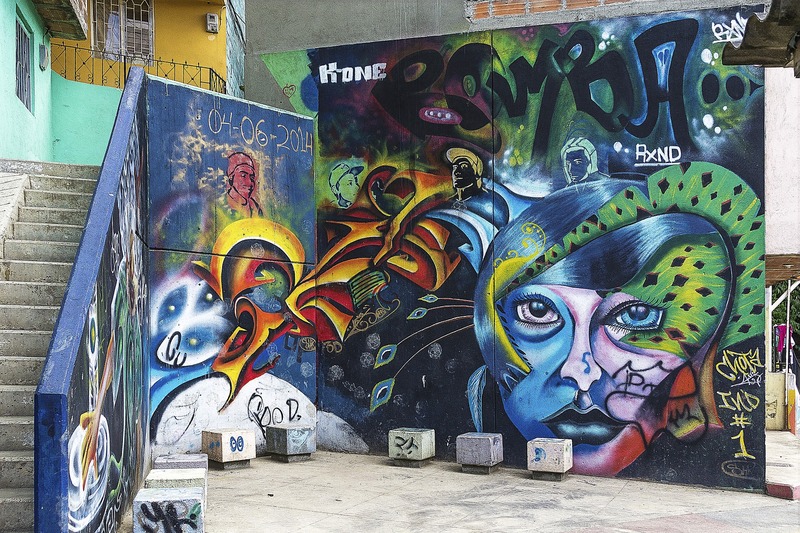 There is a thriving art scene in Medellin, Colombia and it is on the street.